The softwood lumber output in Canada and the USA was higher in the second quarter than in the same period of last year. Figures from the Western Wood Products Association (WWPA) show that the output in Canada increased 2% to a total of 17.083m m³ and in the USA by 4% to 19.967m m³. The Canadian sawmilling industry thus failed to match the rate of growth of roughly 11% recorded for the first three months. The total North American output of softwood lumber thus amounted to 37.050m m³, which equates to an increase of roughly 3% against last year after growth of 6% had been achieved in the first quarter. Before coal, before natural gas, there was timber. Before statehood, timber was a major industry in what would become West Virginia. A century or so ago, the industry was overshadowed by coal and then natural gas. While West Virginia counties from the Eastern Panhandle to the southern part continued to hew timber, coal and natural gas became the headline industries. Despite boom or bust, coal, and eventually natural gas, dominated the state’s economic news. Now, as both extraction industries are facing trouble, timber is holding strong – domestically and globally. 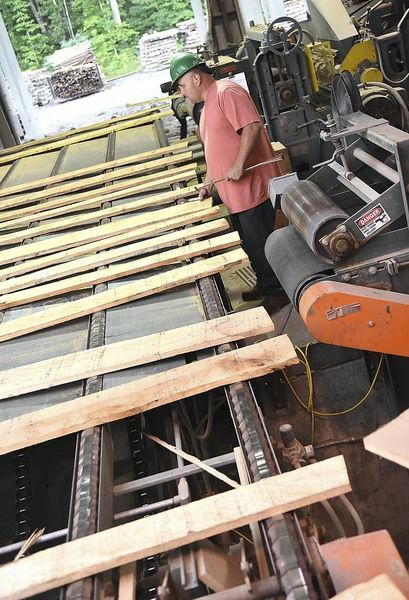 “I wouldn’t say we’re doing great, but we are holding our own,” said John Crites, president of Allegheny Wood Products Inc., a West Virginia-based timber company, with facilities in Raleigh and Greenbrier counties. VICTORIA – Leadership in structural and architectural wood use by local governments was recognized today at the Union of B.C. Municipalities Convention in Victoria, as Wood WORKS! BC announced the winners of the 2016 Community Recognition Awards. The awards are presented annually to local governments that have been exemplary advocates for wood. 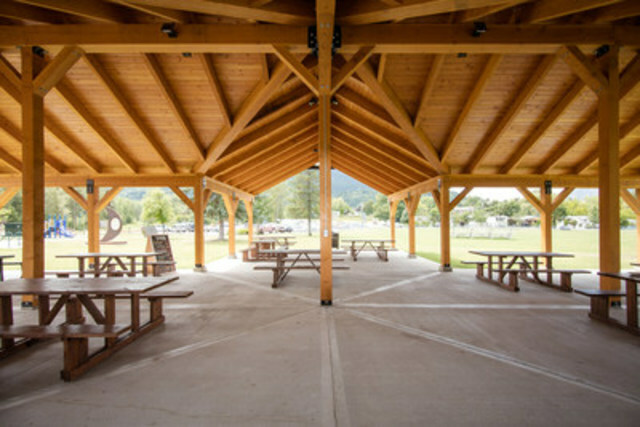 This is demonstrated through the specification of wood in a community project or through visionary initiatives that work toward building a community culture of wood. WASHINGTON—-WoodWorks, an educational initiative that provides free technical support and resources related to the design and construction of non-residential and multi-family wood buildings, has extended the deadline for its 2017 U.S. Wood Design Awards to October 17, 2016. 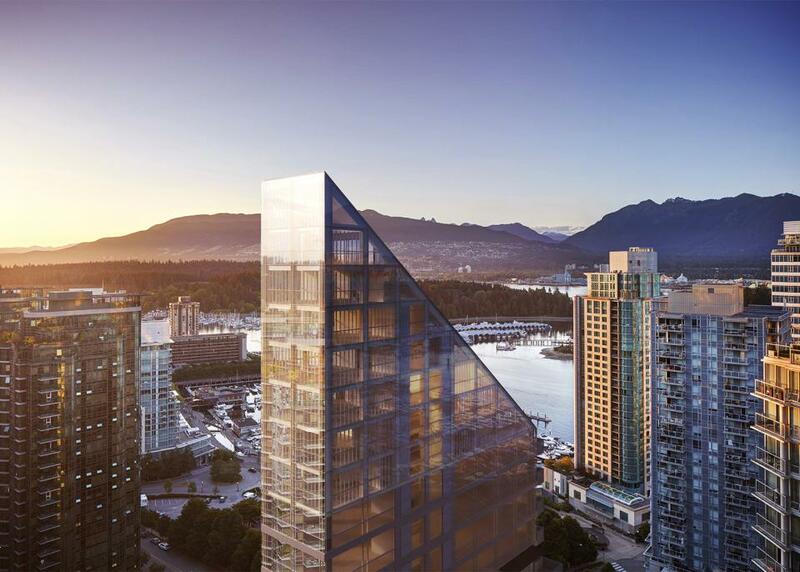 The awards recognize excellence in wood design, engineering, and construction, as well as innovative projects that showcase attributes of wood such as strength, beauty, versatility, cost effectiveness, and sustainability. History’s timeline of structural innovations – from ancient Roman aqueducts to cathedrals with soaring rooflines, castles to neighborhoods of mass-manufactured buildings – reads like a primer of Buildings 101. Each has helped us refine our construction methods and building efficiencies, but over time that progress has cost our planet precious resources. Typical structural building components like masonry, concrete, and steel have large carbon footprints and require great amounts energy to produce. Concrete production alone represents roughly 5% of world carbon dioxide emissions, the dominant greenhouse gas. Weighted with data from the US Green Building Council that 40% of national CO2 emissions come from buildings, it is more than clear that we must reexamine our go-to for construction materials. Rather than reinvent, though, consider a return to our construction roots. This just in from the Park Board media office: Mayday, pagoda dogwood and crabapple trees want homes and a place to put down roots. But time is running out. The Vancouver Park Board needs planting partners to help expand the city’s tree canopy if we are going to meet our goal of 150,000 new trees by 2020. We have planted almost half the trees to meet this ambitious goal. The Board is now selling 17 varieties of flowering, shade and conifer trees for only $10! “Our old-growth forests are not a renewable resource,” he said. However, some Vancouver Islanders such as Cowichan Valley Coun. Al Sebring were against the move, maintaining municipalities should focus on local issues such as roads, water and sewer and not old-growth forests, the Site C dam or anti-poverty legislation. Charlie Cornfield, a councillor in Campbell River, and Port Hardy Coun. Fred Robertson added the issue should be debated regionally because it only affected the Island communities. “The motion could have a significant impact on the social fabric of small forest-dependent communities like Port Hardy,” Robertson said. “Nobody has talked to us or the First Nations.” The UBCM committee had recommended the motion be heard locally, but MacKinnon asked that it be raised at the convention. In what looked and sounded like a road-test of her 2017 election campaign, Premier Christy Clark used her annual speech to municipal leaders Wednesday to announce new funds for water systems and benefits for forest firefighters. Speaking to a packed room of local politicians at the Union of B.C. Municipalities convention in Victoria, Clark committed $148 million to a clean water and wastewater fund for communities. That funds a third of the costs, with federal contributions raised to 50 per cent, leaving local governments to raise the remainder. Clark praised B.C. Government Employees’ Union president Stephanie Smith for pushing to extend her union’s benefits to seasonal forest fire-fighters, several of whom joined Clark and Smith to address the media after her speech. Smith said about 200 firefighters will receive benefits this year, and more in future years. MORGAN HILL, Calif. Some evacuations were lifted Wednesday as cooler weather gave firefighters a boost in their fight against a wildfire that is burning through bone-dry brush and threatening hundreds of structures in a remote area of California’s Santa Cruz Mountains. Mandatory evacuations were lifted for Santa Cruz County residents, but road closures remain in effect for non-residents. Evacuation orders remain in effect for neighboring Santa Clara County, where most of the 300 threatened structures are located, the California Department of Forestry and Fire Protection said. The wildfire had charred more than 4 square miles and was 22 percent contained by Wednesday evening, said Cal Fire Battalion Chief Scott McLean. …Hans Rudolph with the Oregon Department of Forestry said recent thinning south of Tollgate saved at least one home during the Weigh Station Fire this summer. “This was the first time I, personally, had the opportunity to see an active fire go through a treated stand,” he said. Rudolph and his team hope to publish a study providing details on how the fuels reduction treatment impacted the severity of this fire. That promises to be helpful in curbing what most agree will be hotter, faster fires in the coming years. Athena resident Leonard Carter, who owns a cabin in Tollgate at an elevation of 5,042 feet, said these types of project are successful in reducing fire danger. Last week, in the forest southwest of Lake Mary, a group of volunteers wound their way through ponderosa-covered slopes, rocky drainages and knee high gr asses. Their goal was to find and follow the route that water takes as it flows from the flanks of Mormon Mountain, through the forest and into upper Lake Mary, one of Flagstaff’s main water sources. Along the way the men noted and recorded erosion, geology and vegetation details about the drainage as part of a data collection effort related to the Four Forest Restoration Initiative, or 4FRI, northern Arizona’s 2.4 million-acre forest health project. The volunteer trip was organized by the Grand Canyon Trust, a Flagstaff nonprofit that has long been an active player in 4FRI. CLEARWATER BEACH, Fla. — American Bird Conservancy (ABC) is taking an ecosystem-based approach to bird conservation that is benefitting birds in ways that help other species — including people. In recognition of this work and for partnering with the Sustainable Forestry Initiative (SFI) and many others who care about birds, ABC received the SFI President’s Award at the SFI 2016 Annual Conference. Examining the needs of a wide variety of birds helps build understanding of broader ecosystem health as it relates to sustainable forest management — the kind of forest management that also provides wider environmental benefits, like clean water and carbon storage, that support all life. TOWN OF LITTLE RICE – Dennis Schoeneck’s pickup truck sloshes through muddy logging roads these days. But he’d prefer it if a much larger truck could even make it down the path. …The summer of 2016 provided a lot more rain than sun for loggers like Schoeneck. He has about 40 to 50 truckloads of wood cut and just sitting. But logging trucks loaded with wood weigh too much to navigate the roads, which means all those logs — and sometimes workers — can only wait for dryer conditions. “When [my workers] ask, ‘What are we going to do tomorrow?’ And I say, ‘I don’t know.’ I’ve never remembered saying that this many times,” Schoeneck said. MADISON, Wis. — Department of Natural Resources board members are balking at potentially moving the agency’s forestry headquarters from Madison to northern Wisconsin. The 2015-17 state budget mandated the DNR prepare a move proposal. The agency included the proposal in its 2017-19 budget request. According to the plan, building a headquarters in Wausau would cost $5.9 million to construct and $10.8 million annually to run for 20 years. Leasing space would cost $1 million the first year and $9.4 million annually for 20 years. The board reviewed the proposal Wednesday in Black River Falls. Member Fred Prehn said he’s puzzled why anyone would spend that much money given the state’s tight financial situation. PULLMAN, Wash. – Washington State University researchers have developed a way to practically separate lignin from wood, a breakthrough that could provide new sources of lignin for advanced renewable fuel and advanced materials applications. 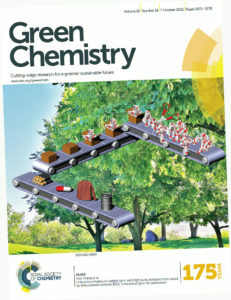 The work is featured on this week’s cover of the journal Green Chemistry. Lignin is the second most abundant renewable carbon source on Earth. It is in all vascular plants, where it forms cell walls and provides plants with rigidity. Lignin allows trees to stand, gives vegetables their firmness and makes up about 20-35 percent of the weight of wood. The material holds great promise as a precursor for biobased materials and fuels, but it is also notoriously difficult to break apart.